Answers from Saturate’s Online Community – get answers like these and more by signing up for Saturate’s free Online Community. 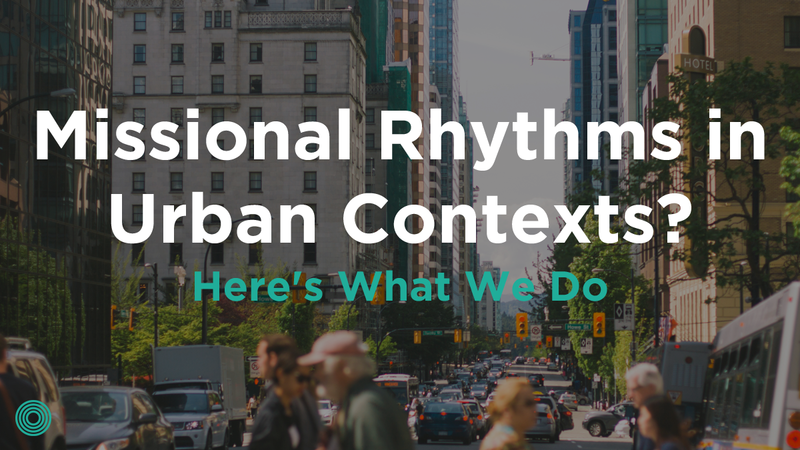 How do you approach the dynamics and difficulties of living within these missional rhythms in urban contexts? Recently, I wrote a post on choosing a common mission to pursue as a community. A common mission is our unified effort to love through word and deed a specific group of people. This requires a reorientation of our lives toward the community’s mission. We received a great question about the challenges of doing this in major cities from a practitioner in London. This led to a great conversation on the dynamics and difficulties of living within these missional rhythms in urban contexts with my friend, Jeff Lowndes, who leads a missional community in Los Angeles. We want to share part of it. What are some best practices for developing some of the more time-intensive rhythms in a busy city context where people have long commutes to work, home, and community life? People in cities have a high commitment to their jobs. People don’t tend to live near each other; there’s little overlap in various spheres of life. Brad: The reality is, 80-90% of missional rhythms will be done in isolation or apart from the community. How can your community connect when they are apart? How can they own the mission together, even when they’re separate? What would be one challenging rhythm (sacrificial) to commit to for a season together and then reflect on how it went and what God did in you and through you? 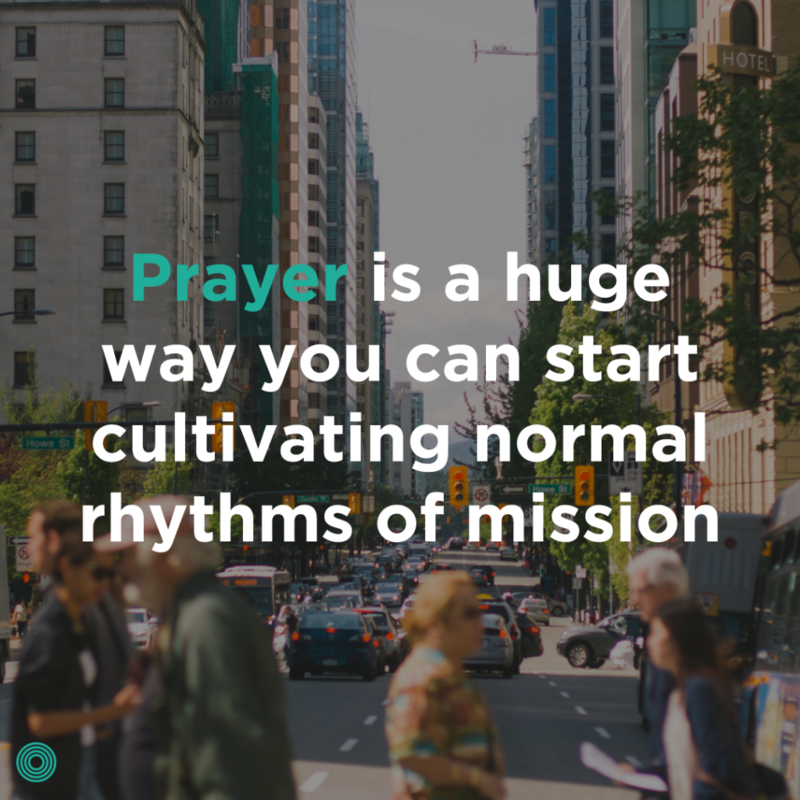 Jeff: Prayer is a huge way you can start cultivating normal rhythms of mission. You, as leaders, can lead the charge in organizing consistent times of prayer for your mission. As we spend more time with the Spirit praying for our mission, we develop God’s heart more for a people group, and we develop a dependency upon the Spirit, which is crucial in isolated or community mission. What are some tips for a busy, spread-out context to make everyday mission possible and sustainable for a community? Jeff: Very practically, when I’ve led MCs with people who are having a hard time being on mission, I’ve found it’s most helpful to meet my people where they’re at. This means potentially laying down people who are on my heart for a season and pursuing the not-yet believers my people know. This helps them experience the fruit of being on mission together and displays how re-orienting our life in that 10 or 20% (like Brad talked about) still takes sacrifice. Brad: Sometimes it can be helpful in these scenarios to remove some of the missional language and just talk normal life. We’ve used this exercise many times to help communities find something they can work toward that is common (even when you’re very busy). Chores: Yard work, home improvement, auto care, etc. Errands: Grocery shopping, going to the bank, etc. Recreation: Vacations, hobbies, exercise, sports leagues, book clubs, etc. Meals: Most people eat twenty-one meals a week; what are standard meals? Entertainment: Movies, theater, concerts, sporting events, etc. Service: Instead of everyone volunteering at separate causes, you could all serve the same one. Even within your local church, you could all commit to serving in the same area together. What would it take to include others in one of these things? Think both spiritually (have to show need) and practically (have to communicate/plan/time). What sacrifices would have to be made to line up our lives in one area? Change sports teams? Change gym memberships? Change grocery stores? Change commute? What are some ways we could grow in living out one of these areas of life together? Share a lunch via Skype in their offices to pray and care for each other (DNA). Meet up for drinks after work once a week in the city before their commute. Extend their Sundays to include big meals after the church services in a park nearby or in someone’s home once a month. Join an art class together to see each other once a month with not-yet-believers. Another group started a book club for the same reason. What tips do you have for leading a missional community on mission in an urban context? Amy serves as the Managing Director of Saturate. She oversees development and implementation of Saturate’s key initiatives, operations, events, and staff. Amy’s spirit of entrepreneurship has led to successful businesses in retail, catering and book publicity. She and her family live in Seattle. Connect with Amy on Instagram, @SprightlyAmyAnne.